With coal-fired power generators closing and worries about nuclear, Australia faces an energy crisis that could impact every family. In spite of intense debate, no-one seems to have the answers. However, we do have a huge resource, arguably our largest reliable source of sustainable energy, that we don’t use. The tides on parts of our coast are among the highest in the world, and have been assessed as able to generate more electricity than all our present power stations put together. Because this potential is largely in a remote region, the Kimberley, it has been ignored. However, significant new technology could harness that power in quantities that could transform Australia’s manufacturing and work opportunities dramatically. This is the major theme of the novel Firebird. It argues that it’s time to consider how this enormous asset might be used to our advantage. 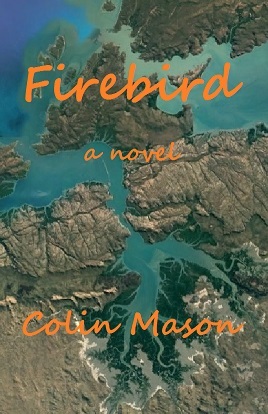 But Firebird is not just about technology—it is also a story about young lovers and their involvement in the bitter struggle between those working for the new and the multi-nationals who don’t want change. There are international implications, too. India is a sub-theme—will it build hundreds more coal-fired power stations to provide energy for its 300 million people who don’t have electricity? If it does, global warming could be pushed up to levels lethal to billions of people. That can only be avoided if India turns to sustainable means to generate power. Australia could be a partner in this. And we could all be a part of the exciting future for Australia that this novel explores. Read three chapters of this book for free!